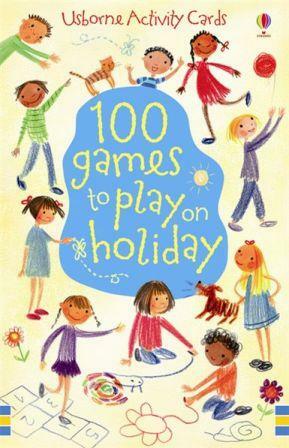 100 fun games to play on holiday. 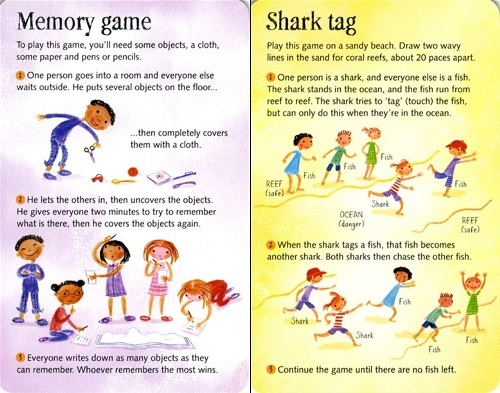 Includes imagination and word activities, games for paper and pencil as well as action games for playing outside. 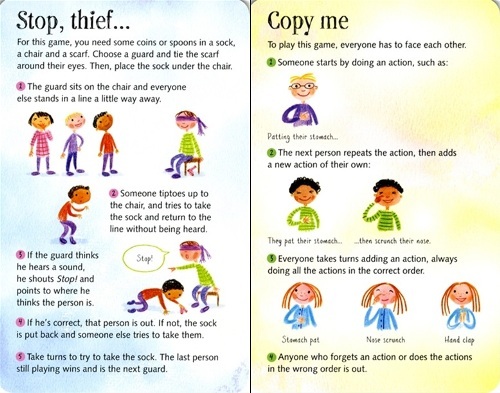 A pack of 50 cards with 100 fun games to play on holiday. 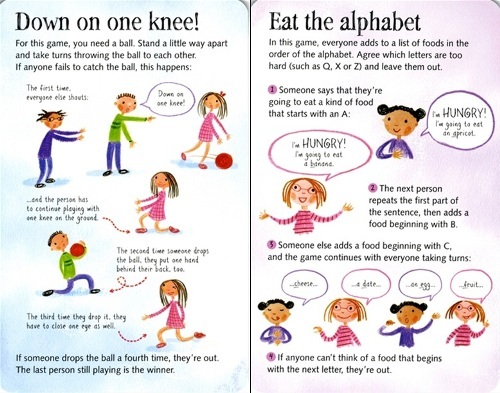 Perfect to keep children amused, with or without an adult's help.